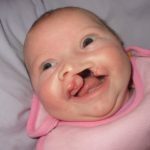 Around one in 700 babies are born with a cleft around the world. 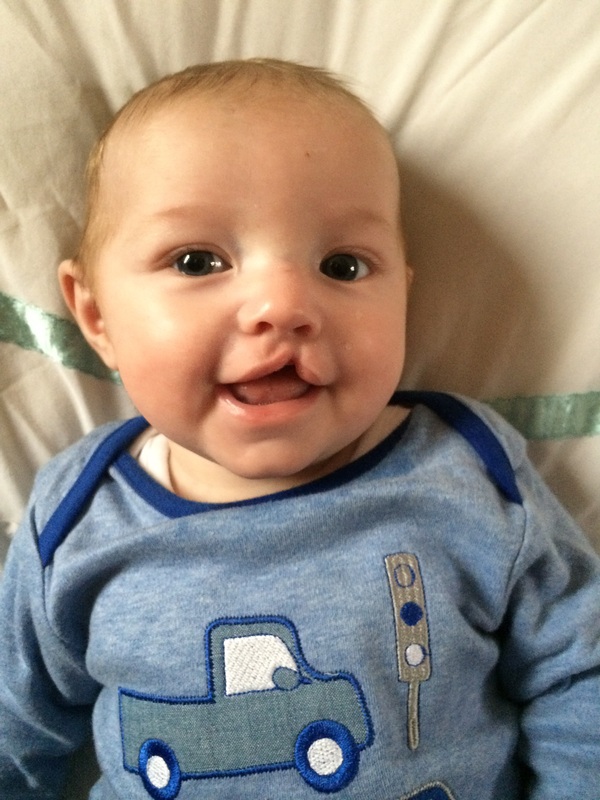 That's over 1,200 babies born with a cleft each year in the UK! 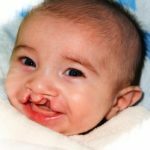 A cleft lip and/or palate is the most common craniofacial abnormality (a problem to do with the skull and face) which babies can be born with. Just had a diagnosis? Get your questions answered. 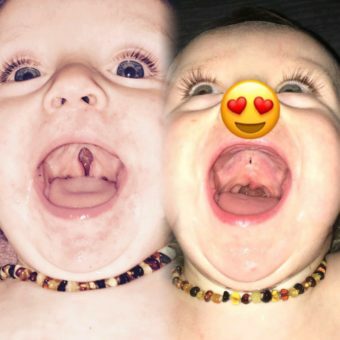 A baby with a cleft palate before and after surgery. Occasionally, after surgery, small holes (fistulae) can form, as is visible in the second image. 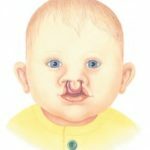 Sometimes a baby with a cleft palate may have a small lower jaw (mandible) and a few babies with this combination may have difficulties with breathing. This condition may be identified as Pierre Robin Sequence. 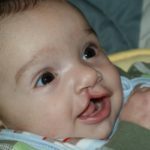 You can have a cleft lip, a cleft palate, or a cleft lip and palate. 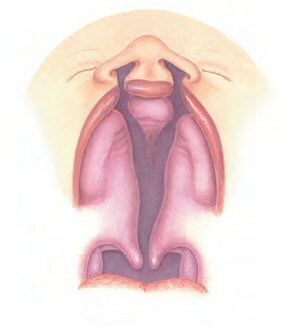 A cleft palate by itself is often called an isolated cleft palate. Genetics is all about things inherited from family members, like eye and hair colour. 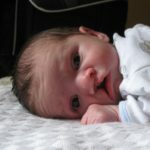 With a cleft, sometimes there is a clear family link, other times it just happens as a ‘one off’. 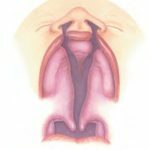 Find out more about the causes of cleft lip and palate. Around one in 700 babies are born with a cleft around the world. 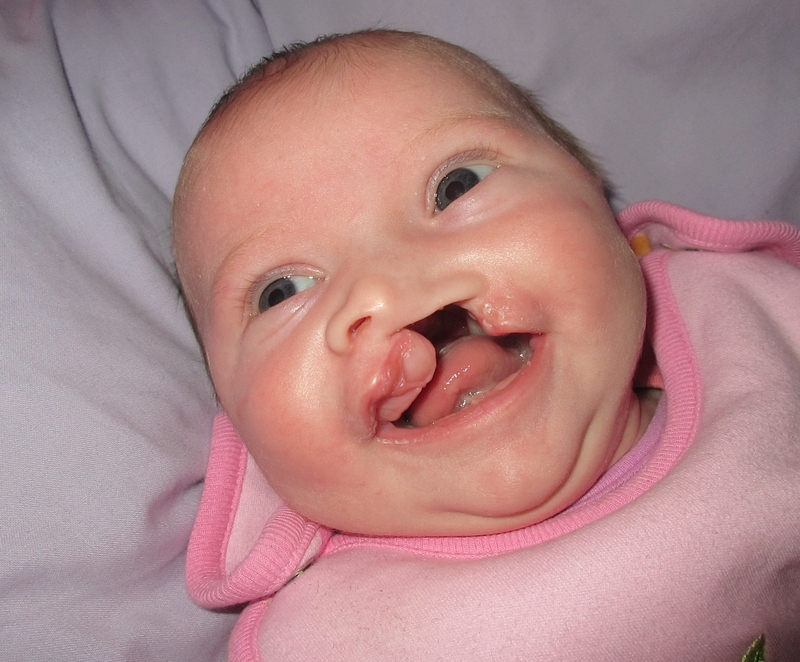 That’s around 1,200 babies born with a cleft each year in the UK! 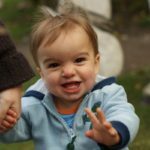 Of these, around 45% will have a cleft palate on its own, 24% will have a cleft lip on its own, and 31% will have a cleft lip and palate. 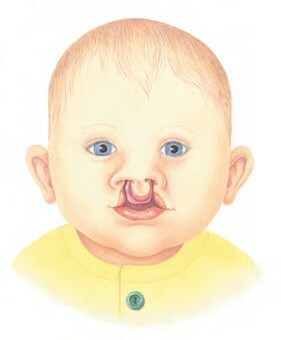 Bilateral cleft lip and palate (where the cleft is on both sides of the lip) is the least common type, at just 9%. 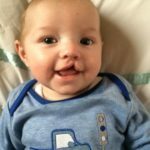 The NHS Cleft Teams in the UK are made up of a number of specialists from surgeons to speech therapists dedicated to providing the best possible care for people born with a cleft, from infancy through to adulthood.